Editor's Note: 'Our Colorado' helps us all navigate the challenges related to growth while celebrating life in the state we love. To comment on this or other 360 stories, email us at OurCO@TheDenverChannel.com . See more 'Our Colorado' stories here. DENVER -- When the rent went up 25%, a nonprofit architecture and urban design firm found themselves displaced. It's an all too common story in Denver, especially for nonprofits or small businesses who often have a hard time finding somewhere affordable to work. 'As an organization that works to mitigate displacement, we then found ourselves displaced,' said Camryn Walton, Communication and Outreach Coordinator with Radian. Walton says as they searched for a new space, they wanted to help others facing a similar situation. That's where the idea for a mission-driven co-working space was born. Radian designed and opened a different kind of co-working space, one that caters to nonprofits and small businesses. 'We're in the fight with them,' said Walton. The space is called Build by Radian. It offers private offices, dedicated work stations and floating desks. Membership ranges anywhere from $150 to $950 per month and there's a focus on making sure the rent stays affordable. 'We luckily found a landlord who really attached to our mission and he saw what we were doing, and so he agreed to a long-term lease so that we're locked in so we don't have to raise the rent on our tenants,' said Walton. Many of the current tenants were completely priced out of traditional office space. Some were working out of their homes or bouncing around coffee shops before they found Build. Now they have amenities like a conference room, kitchen and event space, even if they're only renting a desk. 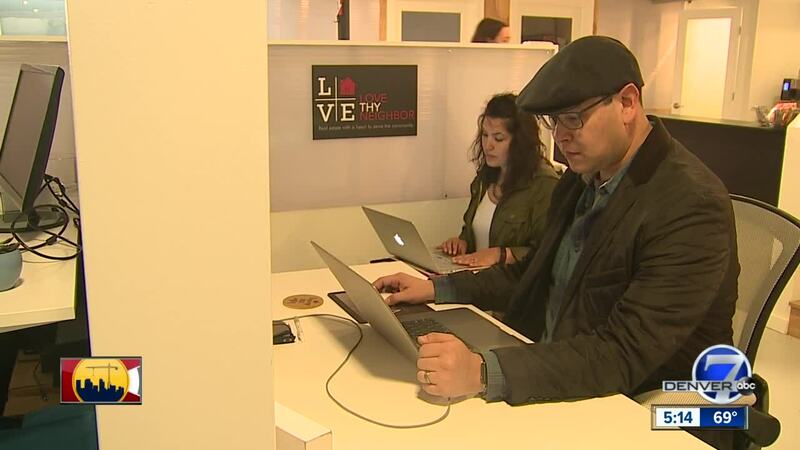 “We need places for small businesses to develop and grow and to connect with the community,' said Joseph Dominguez with Love Thy Neighbor, a real estate group that is committed to providing access to affordable homes. Dominguez and his wife didn't have an office of their own but decided to rent a workspace inside Build. He says the new space is already a positive for their business. “So this gives us a good opportunity to go out into the community and we’re growing because of it,' said Dominguez.